Sophomore goaltender Alek Lazarski was named Player of the Week by the Texas Collegiate Hockey Conference last week for his impressive weekend on the road against the Texas Longhorns. Lazarski is from North Bend, Washington and is currently studying Chemistry. Prior to playing for the UTEP Miners Hockey Club, Alek played in the WSHL for the Seattle Totems prior to being traded to the El Paso Rhinos. The Miners faced off against UT this past weekend in Austin, TX. Friday, Lazarski recorded a 26 shot shutout and then followed it up Saturday night with another win stopping 25 of 26 shots. 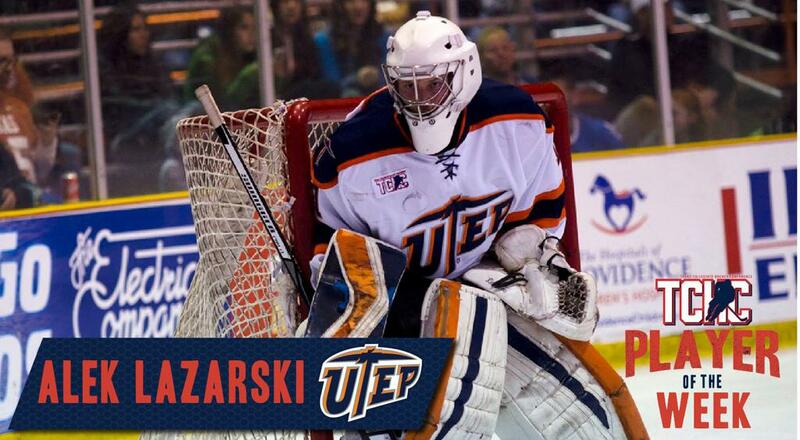 Currently, Lazarski leads the ACHA D2 in wins for all goaltenders.